Visitors enjoy sitting in the lounge, or the enclosed garden, watching the coming-and-goings in the village and taking in the loch view. Steps away from the Goil Inn for a social drink or meal. At the start of the marked walking trials from the village. The enclosed garden make this a popular dog owner choice. 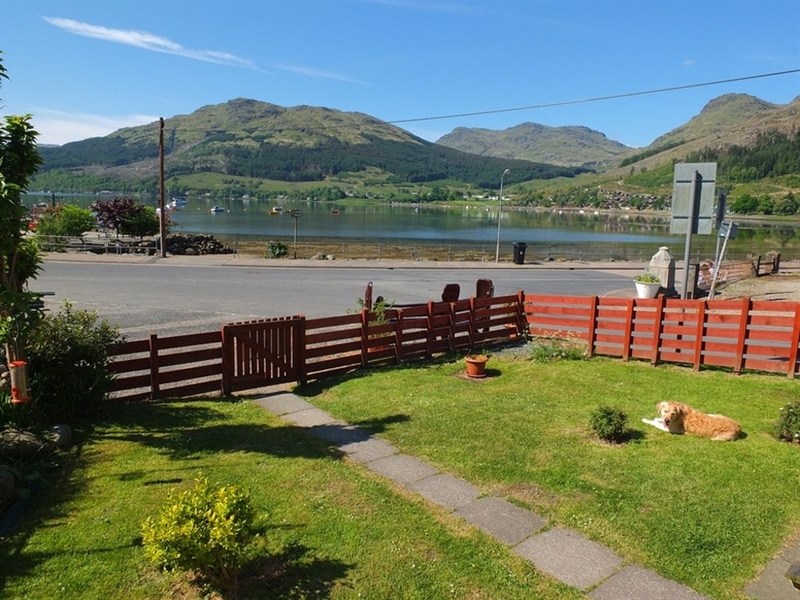 A 2 bedroom semi-detached cottage in the heart of the village and just steps away from the shores of Loch Goil. 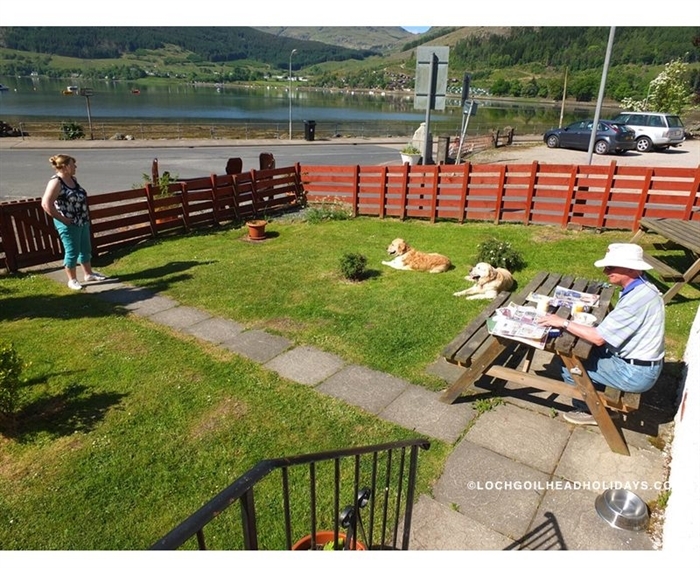 It makes the most of the loch and mountain views from the lounge and enclosed garden. Ideal for a couple or family, you are close to the start of a number of marked walking trails at the same time as being close to The Goil Inn. If you like to fish or bowl, the cottage is near to the bowling green and jetty. 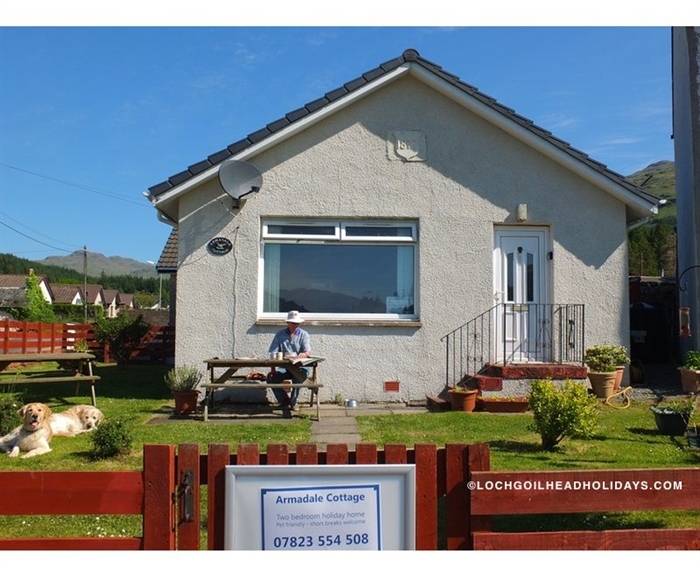 Armadale is a comfortable base from which to enjoy a relaxing holiday in beautiful surrounding. Your pet is welcome, but please let us know in advance. With parking at the gate and 3 steps with a hand rail to the door, the cottage is then all on one level. Armadale is suited to guests with limited mobility. 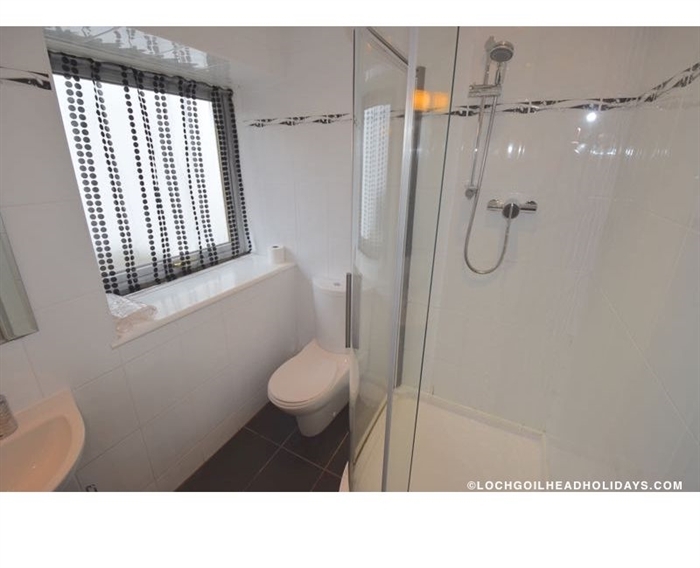 There is a good sized modern shower. Armadale is a popular choice for pet owners. The enclosed garden is ideal for sitting out and enjoying the view at the same time as being small enough that you can see what they are up to, but large enough for them to run around and explore.